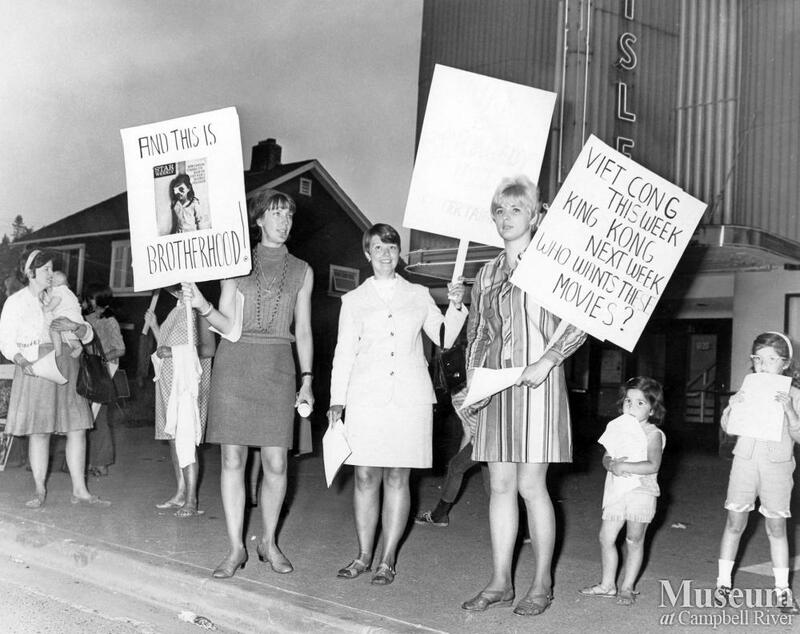 Members of the Campbell River Voice of Women protest a movie which they say glorifies the war in Vietnam. Dale Young on far left (with her son David), Morgan McGregor (later Morgan Ostler), Shawna Meade (centre), and Judy Price Welch (later Judy Sturgis) on right in striped dress. 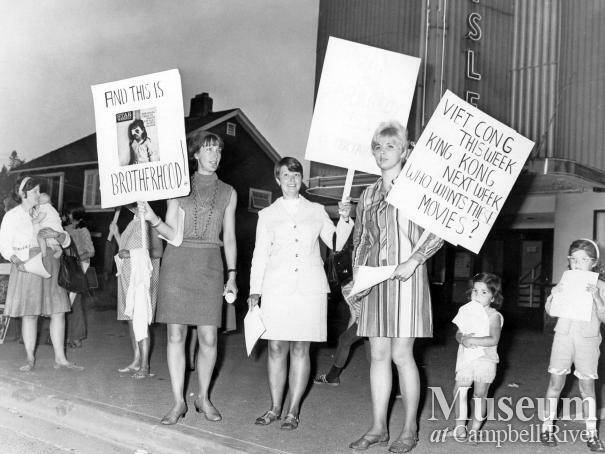 The children on the right are Dale Young's daughters, Carol and Joan.